The following blog is from the original release in 2017. 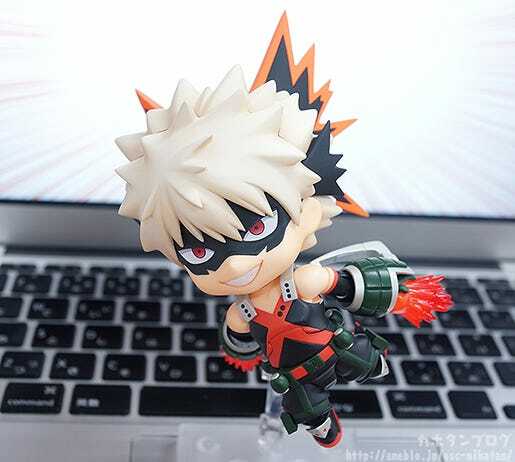 From the popular anime series ‘My Hero Academia’ comes a fully articulated Nendoroid of the main character’s childhood friend and rival – Katsuki Bakugo! He comes with three face plates including a confident standard expression, an aggressive combat expression as well as a sullen glaring expression. 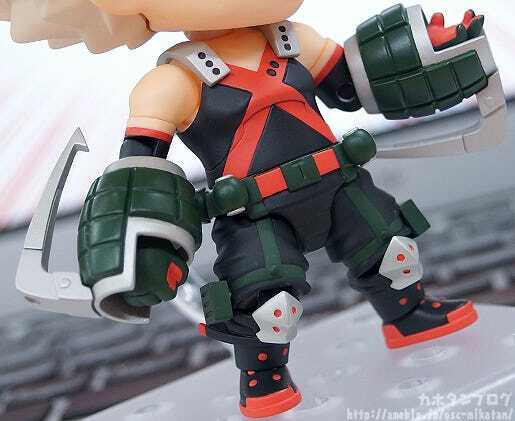 The unique design of his ‘All Body Dynamite’ outfit has been very intricately sculpted, ensuring even smaller details on the arms, hips and legs have been faithfully included! 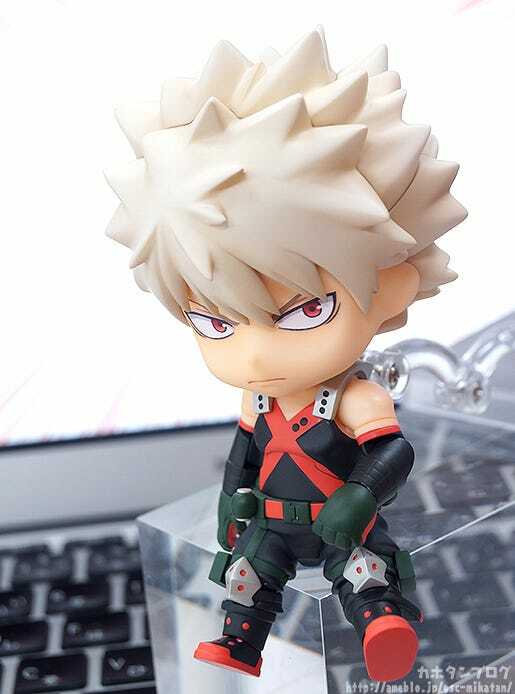 Another thing to note is how faithfully his hairstyle has been recreated even in Nendoroid size! 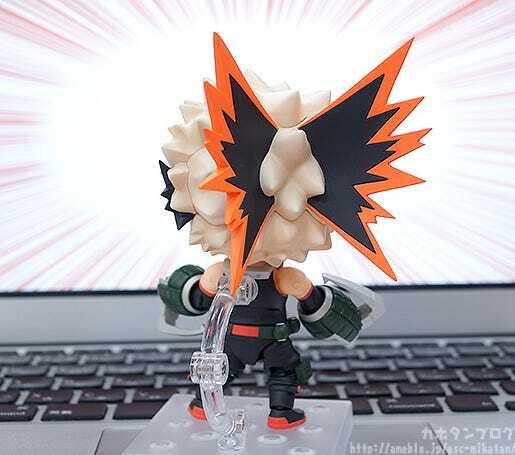 Definitely one of the more unique Nendoroid hair parts! 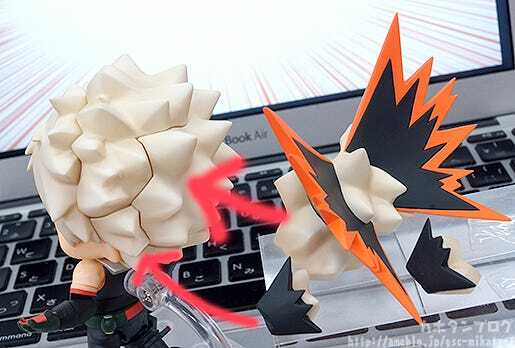 Both the black and orange parts on the back and the black parts on the side that appear when he is in his hero costume have been included! Allowing you to pose him in mid-combat! His first expression was already a little cocky, but this takes it to a whole new level! Look at the bloodshot eyes and the aggressive laugh! 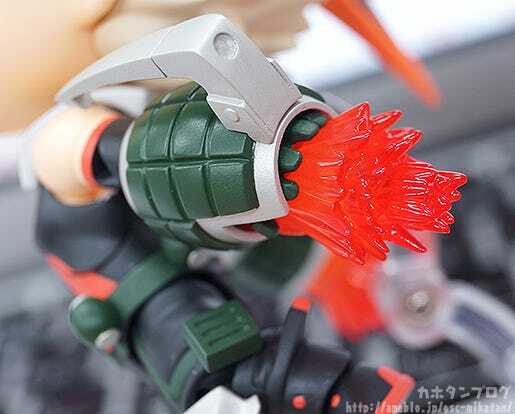 Plus he also comes with more parts that help to recreate his ‘Explosion’ quirk – both exploding effect parts as well as a ‘BOOOM’ text plate! 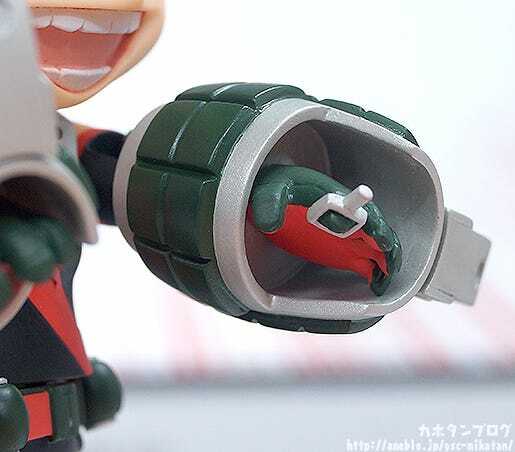 ▲ The safety levers on his grenade arms can also be slid out! 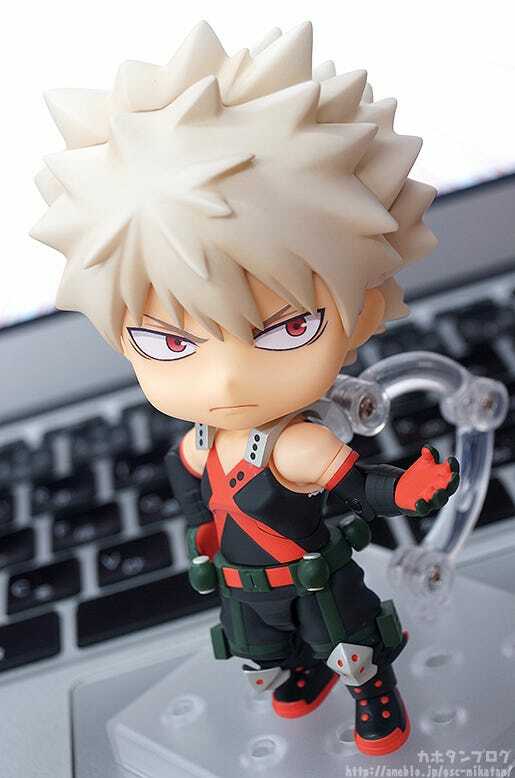 ▲ Nendoroid hands are so small… making the pin tiny! 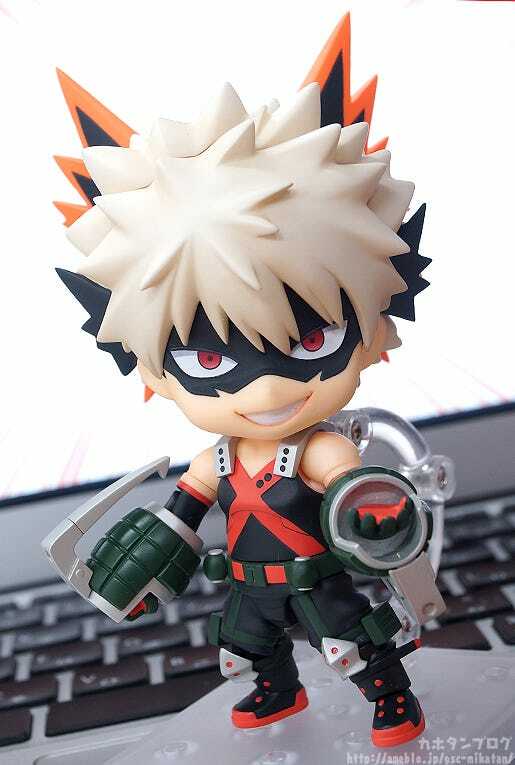 Unfortunately Nendoroid Izuku Midoriya: Hero’s Edition is currently off on a trip to China so I wasn’t able to pose the two of them together, but I look forward to having both of them displayed together!! 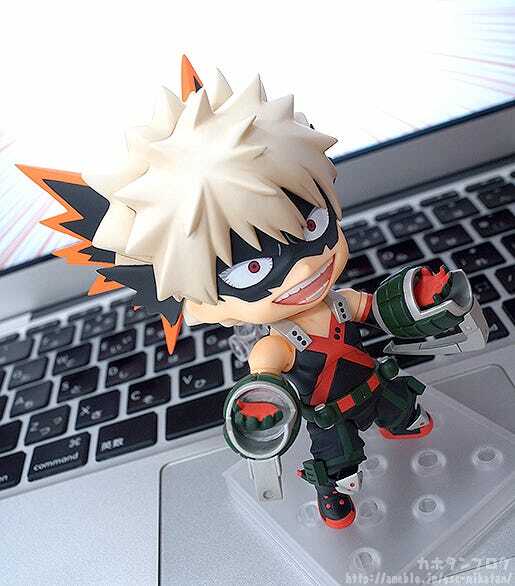 Enjoy all sorts of different poses with the adorable Nendoroid of Kacchan! 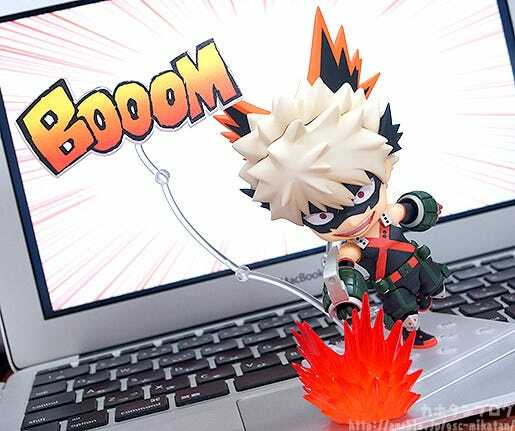 Nendoroid Katsuki Bakugo: Hero’s Edition! 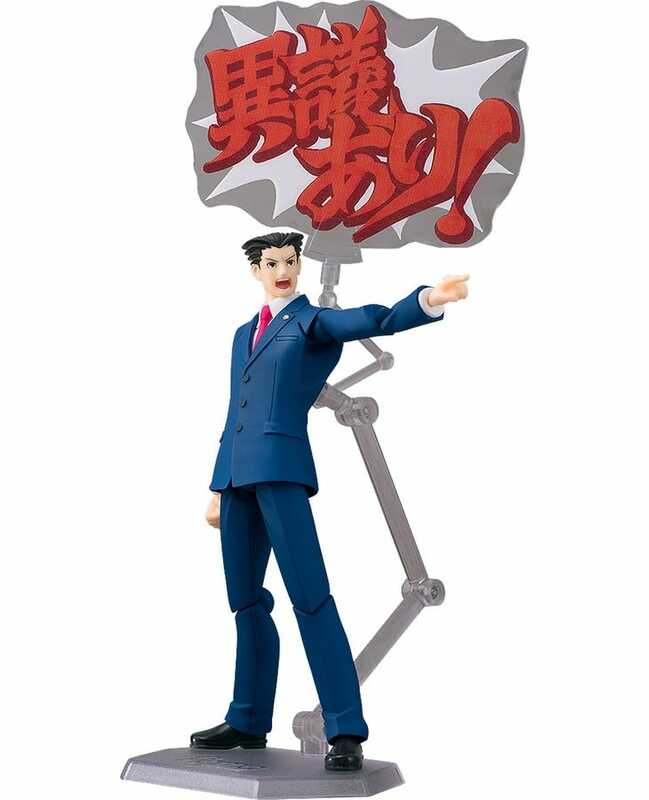 Be sure to check the GSC Site for more information around noon JST tomorrow! I’m looking forward to the upcoming second season of the anime! Take a look at the trailer below! 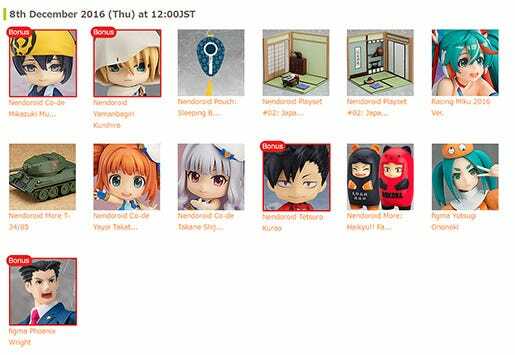 The following products also comes with a GOODSMILE ONLINE SHOP Exclusive Bonus, so don’t miss out on them!! 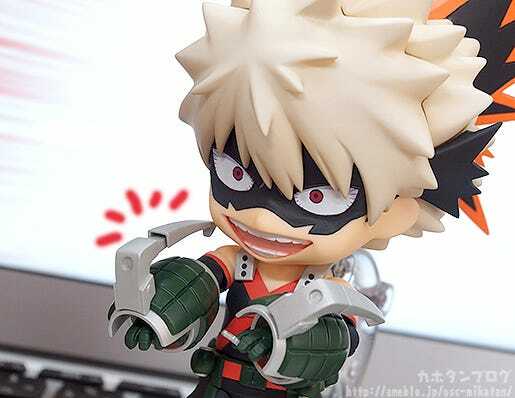 Bonus: Nendoroid Plus Rubber Strap: Yamanbagiri Kunihiro “Don’t Call Me Pretty!” Ver. 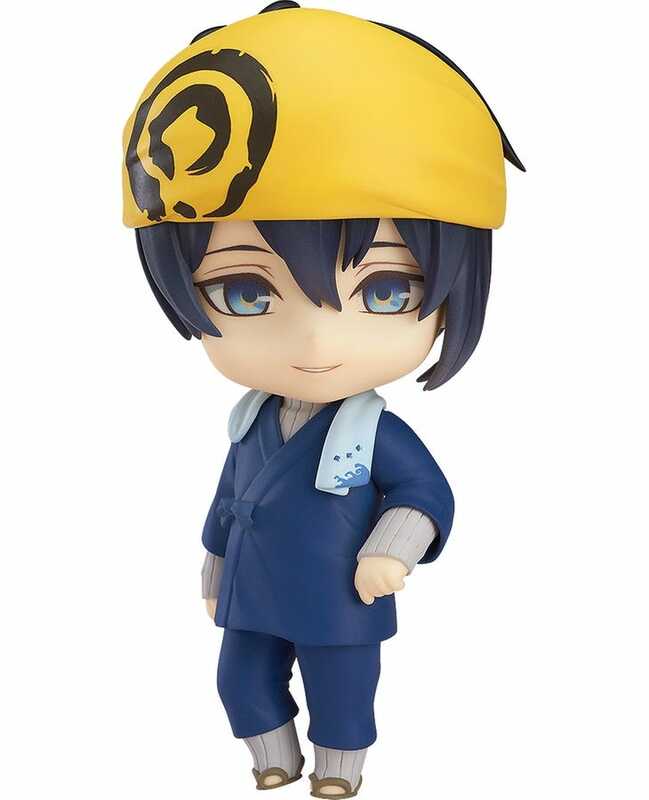 Bonus: Nendoroid Plus Rubber Strap: Mikazuki Munechika: Uchiban Co-de Ver. 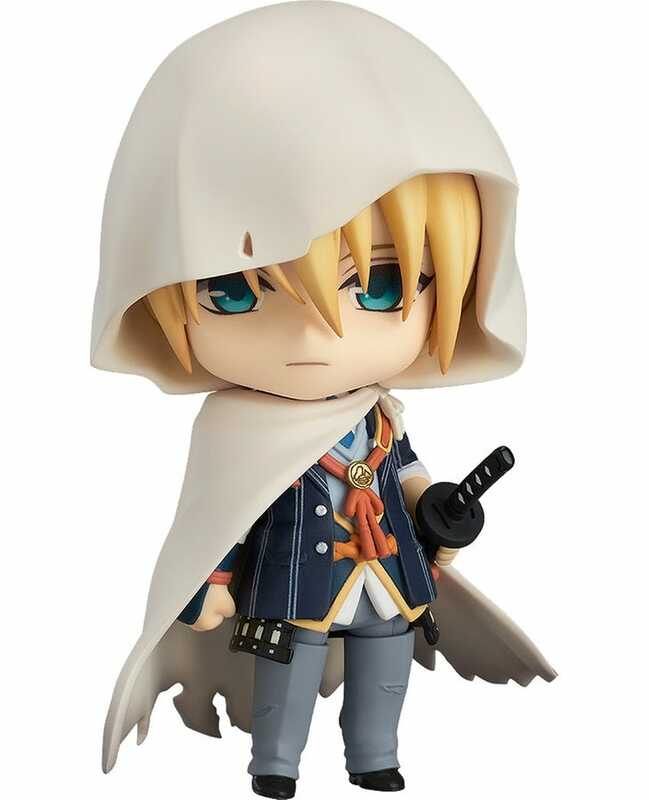 Blog Review: Nendoroid Mikazuki Munechika: Uchiban Co-de Ver. 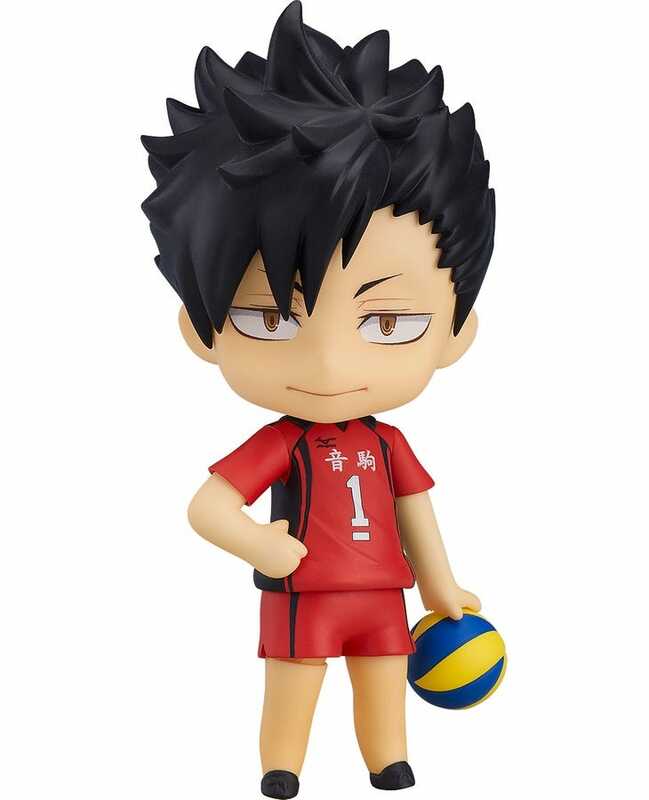 Bonus: Nendoroid Plus Rubber Strap: Tetsuro Kuroo – Calm and Collected Tactician Ver.